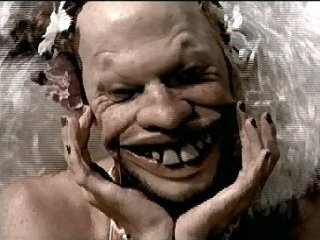 WIndowlicker by British electronica artist Aphex Twin is one of the freakiest music video clips ever made. The production values, the dance quality/choreography, the originality, the lighting, the sheer unsettlingness of it all… Even though this was made in 1999 The Freaky just can’t get over how awesome this was even all these years later. Directed by Chris Cunningham the video starts with a brilliant parody of 90s gangsta hip hip videos and then just gets freakier and freakier.